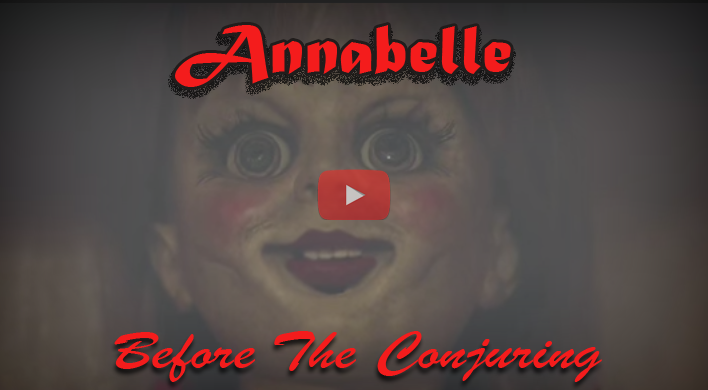 Annabelle, the demon possessed doll, had debuted on theaters this October and got various reviews and reactions. With the main cast Annabelle Wallis and Eric Laden, the movie directed by John Leonetti would give you the creeps especially when you realize that this is the same doll featured in The Conjuring which it serves as a prequel. As we have known, movies tend to change some vital information and cook up fictional experiences and plots compared with the real story. Here are five facts about the real story and the movie as sited by History vs Hollywood. 1. In the movie, John Form, bought the doll as a gift for his pregnant wife who is a doll collector. In reality, the couple do not exist.The movie just goes around the story of how it had became possessed before it ended up on sale and bought by a mother for her daughter’s 28th birthday. As seen in the first part of The Conjuring, the daughter discovered the menacing truth about it and consulted priests who escalated the case to the Warren couple who are experts with such issues. Now, the real doll resides in a glass case in Ed and Lorraine Warren’s Occult Museum. 2. The real Annabelle is not a Victorian porcelain doll with a creepy face, it is in fact a very normal looking Raggedly Ann Doll that any mother would not suspect it had hidden dark secrets. 3. The previous owners were never attacked nor involved with any satanic group. The blood dripped on the doll’s eyes which might be the reason for its possession is a pigment of imagination. However, there was an incident when the owner found drips of blood on its chest prompting her to consult a priest. 4. In the flick, the husband tried to throw away the doll only ending up in one of their boxes when they had unpacked after moving in a new home. The truth is, the past owners never tried to throw the doll. 5. So what are the real things featured in the movie? The real Annabelle indeed moved around in different rooms, changed positions all by itself, and it inflicted injuries but reportedly to only one person while it was in the previous owners house.